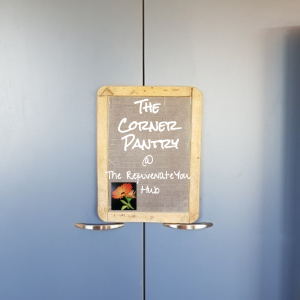 Welcome to “The Corner Pantry” here at Rejuvenateyou Hub!! Our aim is to promote and offer products which we believe will serve good health and wellbeing to you and your family, friends along with supporting our local businesses and services within our area and NZ made or produced too! So we need to become more aware of these messages; the food we put into our mouths and how our body responds to this; the products that we use around us for cleaning; what we put onto our skin; the stress in our life – do we listen to our intuition or inner voice – does it feel right for us or are we doing this for someone else.? We need to Love ourselves more and treat our body with respect! Our aim for our Corner Pantry is to introduce you to products that will enhance our Good Health and Wellbeing. We are also happy for you to share pantry products that may have worked for you- please share – or products you would like to see in the “Corner Pantry” – so please – I invite you to use this page as a conversational place to share positive information, tips and tricks or products. Avocado Delivery will be a regular event all year through. 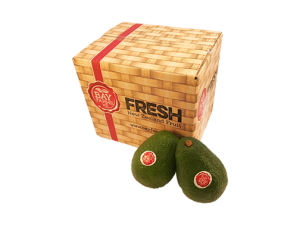 We have sourced an Avocado and Kiwifruit Farm in the Bay of Plenty – who Fruit arrives to us undamaged and perfect for your culinary requirements. A fabulously nutritious fruit is Avocado offering rich sources in the Omega3, Vitamins A 2%, Vitamin C 16%, Vitamin B-6 15%, Magnesium 7%, Calcium 1%, Iron 3%. Val Mackenzie with her Glorious Food – Homemade dressings, relishes, lunches and salads. See more or contact Val for your catering! 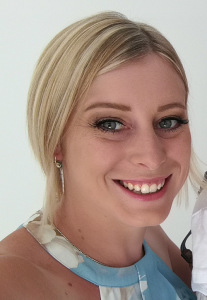 Hi there, My name is Amy Albon and I am an Independent Sales Consultant for Norwex NZ. I have recently joined Norwex because I have fallen in LOVE with this product, this companies values and with the opportunity Norwex is giving myself and my family. As a young family with a 1 year boy and another beautiful baby on the way Norwex has made our home safer by removing chemicals and replacing them with high quality microfibre cloths, given us more time as a family by reducing the time it takes to clean and has offered me the freedom to be a stay at home Mum while still earning an income for my family. Whats not to LOVE about all of that!! I can’t wait to share my passion for Norwex with you! We are the first NZ company to produce a variety of products using vinegar as the base ingredient. Please come back to this page for updates of NEW products joining the Pantry as well as following and “Liking” our FB Page for chances to WIN and follow promotions. Thank You for Your input and Support! !